Celebrate the long weekend with Tim Hortons! 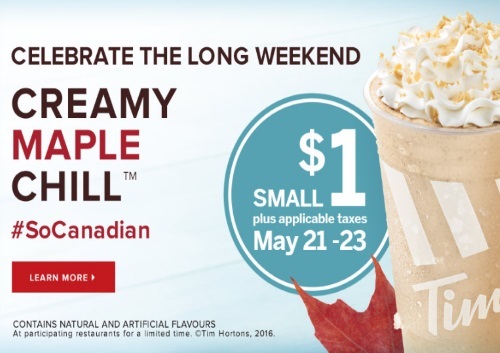 Get a Small Creamy Maple Chill for only $1! Offer is valid May 21-23, 2016.